By God’s sovereign grace and guidance, Global Reformed Theological Seminary (GRS) has recently opened its doors. 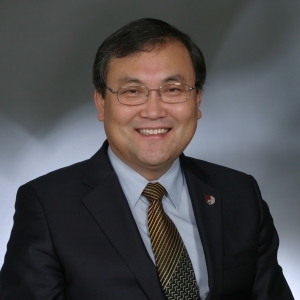 GRS is a global theological institution in North America, operated by members of Korean Churches to serve at the highest level as a missions-oriented theological instituttion. GRS will use well-known American and Korean professors, teaching primarily in doctoral programs. In addition, at theological education centers throughout the world, GRS will use as teachers select pastors and missionaries who are serving in their ministerial fields effectively and who also hold a D. Min. degree from well recognized evangelical and Reformed theological seminaries in USA. For the glory of God, based upon the Word of God and the Reformed theological framework, GRS has a clear goal to develop global leaders who will provide effective, innovative, biblical leadership for transforming the world through the Gospel, resulting in church revitalization and renewed leadership in Christian missions based in Korea, in the USA, and in many other countries in the world. Exceptionally well qualified faculty with demonstrated academic excellence, ministerial experience, and a vibrant devotional life will serve students to develop a Christ-centered piety, global vision for missions, and biblically transformational leadership so that they are able rightly and powerfully to serve the universal Church and the Kingdom of God.